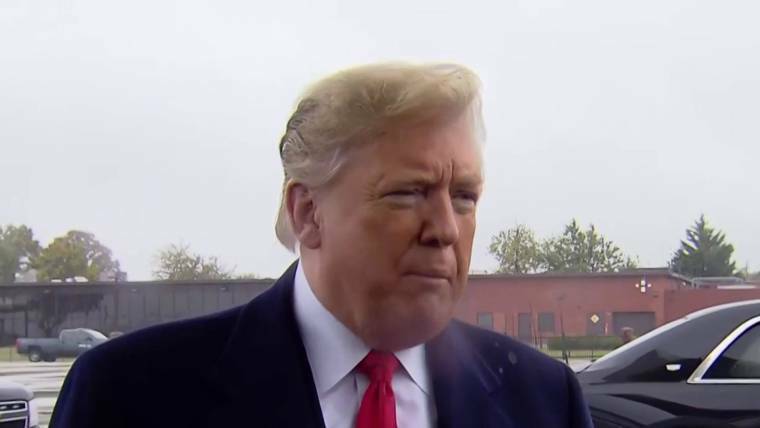 WASHINGTON — President Donald Trump lamented the “hate in our country” and condemned anti-Semitism after the killing of 11 people in a lone gunman’s shooting rampage at a Pittsburgh synagogue Saturday and asserted that better security at the congregation could have prevented the massacre. Trump’s suggestion was similar to his proposal after February’s school shooting in Parkland, Florida, that schoolteachers should be armed. He also placed the shootings in the context of a long series of violent acts nationally and globally. Later, at a Future Farmers of America conference in Indianapolis, Trump said the nation and the world are “shocked and stunned” by the “anti-Semitic act” in Pittsburgh — one of several references he made to anti-Semitism. 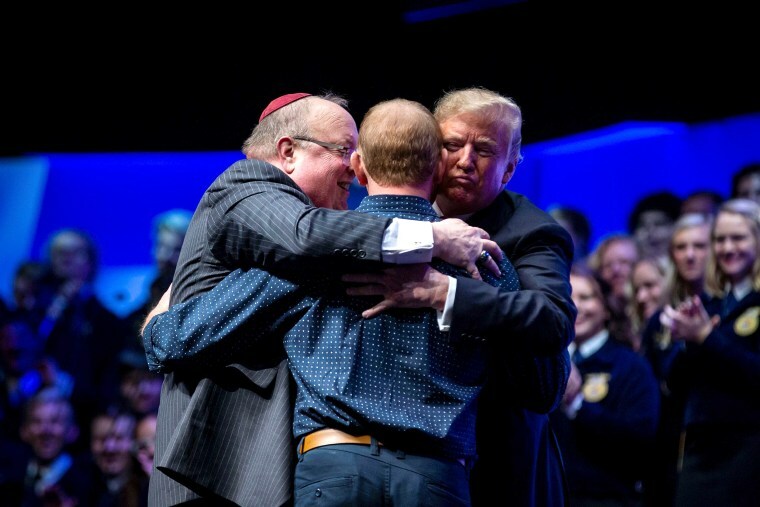 Trump arranged for a pastor and a rabbi to lead the conference in prayers. Aboard Air Force One, before he arrived in Indianapolis, Trump told reporters he was considering cancelling a “Make America Great Again” campaign rally scheduled for later Saturday in Illinois. But by the time he spoke to the FFA group, he had decided to go ahead with the political event. Comparing his decision to the reopening of the New York Stock Exchange following the Sept. 11, 2001, terrorist attacks on the U.S., Trump said he felt duty-bound to hold the rally. 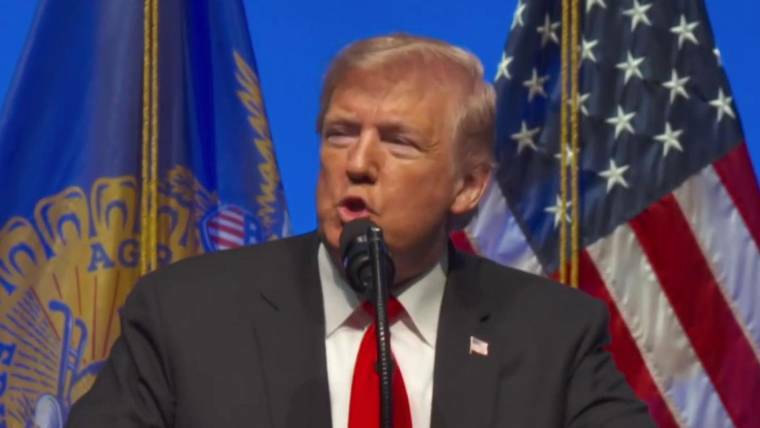 Trump urged Americans to “come together” in the wake of the shootings. But later in his speech, he took swipes at House Minority Leader Nancy Pelosi, D-Calif., and Sen. Elizabeth Warren, D-Mass. In praising Republican congressmen, Trump said he wouldn’t talk about their Democratic opponents. And, as he often does at campaign rallies, he reminded the audience that Warren’s recent DNA test showed that she has relatively little Native American ancestry — a point he has dwelled on as he has ridiculed her for identifying herself as Native American on university job forms many years ago. Police have detained a suspect, Robert Bowers, 46, of Pittsburgh, according to senior law enforcement officials. Four police officers were injured in the shooting, according to Wendell Hissrich, the city’s public safety director, who spoke at a news conference. Trump also said that the death penalty should be more swiftly applied to mass murderers. “I think they should stiffen up laws, and I think they should very much bring the death penalty into vogue,” he said. Asked by reporters about his close relationship with the National Rifle Association, Trump stressed his view that having armed guards at the synagogue might have made a difference — and said it might be necessary to have them at all houses of worship in the United States. Vice President Mike Pence also addressed the murders during an appearance in Las Vegas. Pence asked all Americans to pray for those killed or injured in the shooting and their families.